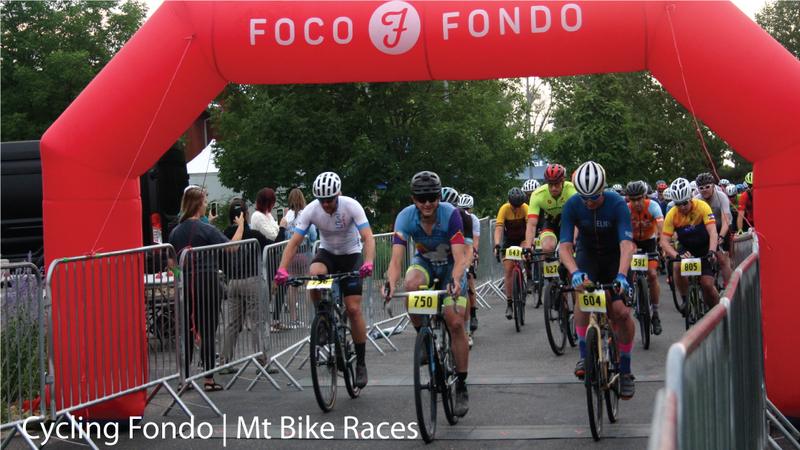 We offer a full range of sport timing services for running races, cycling events, and multi-sport events. We pride ourselves on providing a personalized service not found with many companies. Our philosophy is Your race’s success is our success. Ease of registration, accurate timing, quick access to results, and the appearance of a finish line reflects the quality and integrity of your race. Our goal is to eliminate your stress on this aspect of your race. 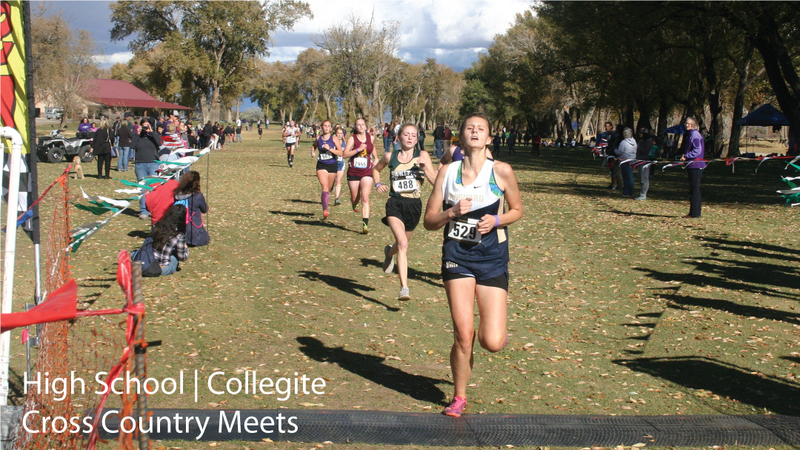 We are experienced in timing road and trail races, High School and Collegiate cross country meets (including uploading results to TFRRS), bike races, open water swims, and triathlons. Whether you are an experienced race director managing a well established annual event, or a first-time organizer creating an inaugural race, we are here to provide assistance from event concept and planning, to race day timing, and results. We will provide great customer service to both you and your race participants. 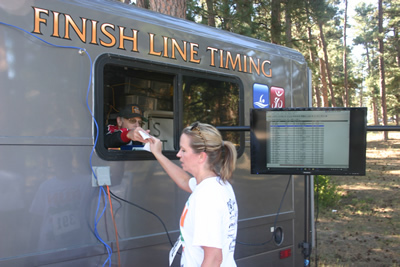 Contact Finish Line Timing today to discuss how we can help you at your next event. We offer a choice of timing technologies: the state of the art MyLaps BibTag disposable chip timing system, and the bar-code scanning/tag-pull method for smaller races. 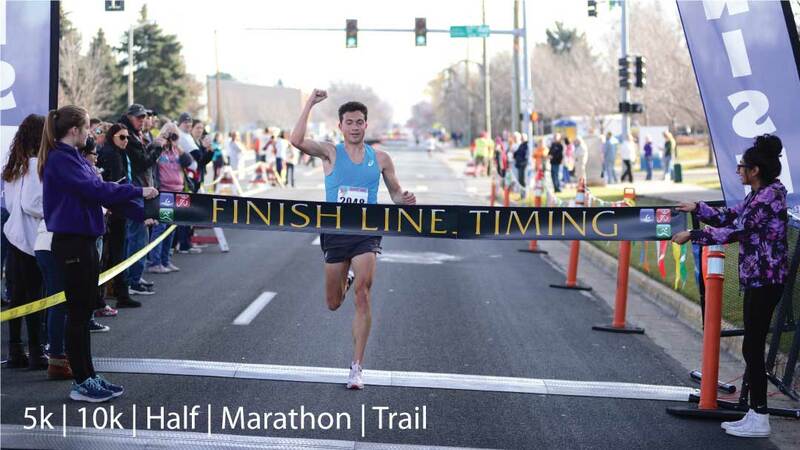 We offer more race related and personalized services than any of the Denver area timing companies. With our website and our email distribution list, we will help promote your event. We build a page on this website for each race we time, and we email out our race calendar to our distribution list once or twice each month during the race season. It is a universal standard that anyone who registers for an event and successfully completes the race appears in the results. Read more here. When it comes to awards, a winner of a race is determined by who crosses the finish line first. Therefore, overall and age category results are based on Gun Time. Read more here. MyLaps is considered the most reliable chip timing system with a read rate approaching 99.8%. Prestigious races like the Boston Marathon, Chicago Marathon, and Houston Marathon, now use the MyLaps Bibtag system. This system also eliminates the need and expense of collecting chips at the finish. For runners, the disposable runner's chip is a thin, lightweight antenna stuck on to the back of each participants bib. For swim, cycling, triathlon, and mud runs, the chip is embedded in a disposable lightweight foam band that goes around the athlete's ankle. Bar-code scanning (tag-pull) timing is how all races where timed before chip timing was invented. 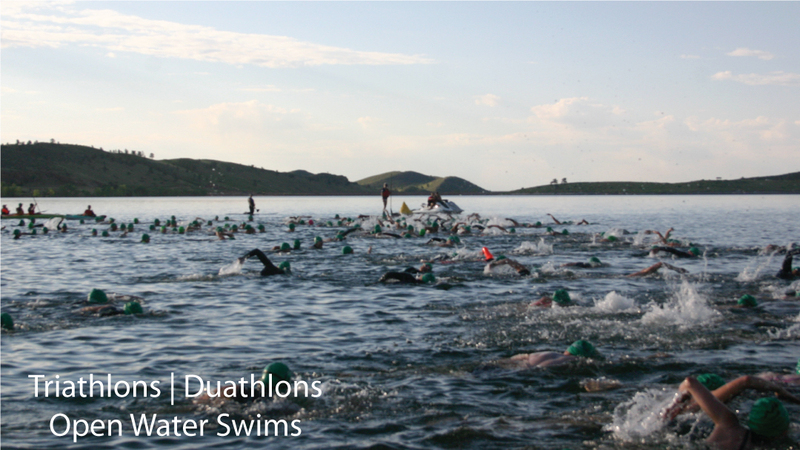 This timing method is ideal for smaller races were your timing budget is limited. Start and finish line banners, and runner chute equipment, is included in our bar-code scanning timing packages. Detailed results making it easier for participants to compared their results to others. 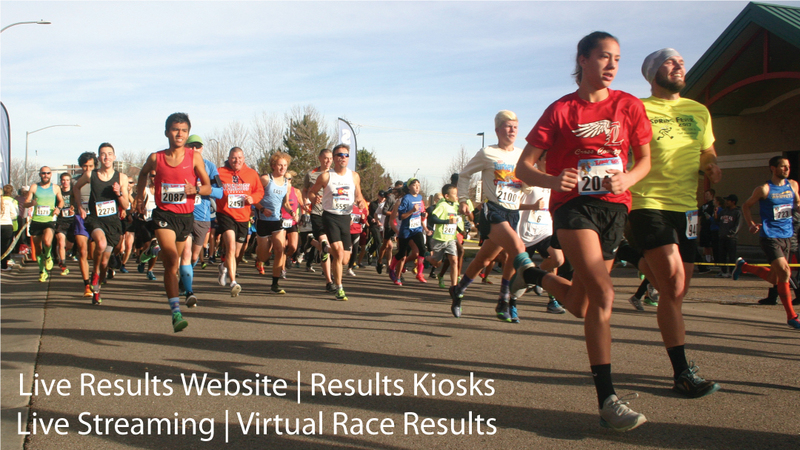 To get personalized results to your runners faster, we have created the FLT Race Results Ticket software. Individual runners can come to the FLT results kiosk at the finish, give us their bib number, and we will print out a results ticket that has their personal race results that is customized for your race. Each ticket will have your race logo, race name, location, date, the runner's name, and their complete results including their time, pace, overall place, division place (gender and age group), and their gender place. Watch videos of finishers at many of our recent races on our new YouTube Channel. FLT Race Registration is not online registration - there are already plenty of options. FLT Race Registration a stand alone program that takes the place of registration forms filled out by hand. 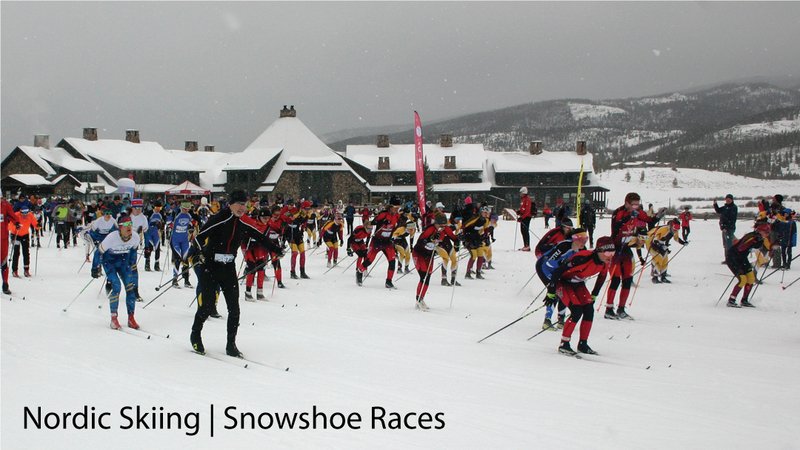 This program is ideal for races that have pre-race expos or bib pickup where registrations are taken. Runners register on one of our laptops and then print out a race customized race registration form complete with your waiver. The participant signs the form and take it to your team to pay and collect their assigned bib. This eliminates the need to decipher poor handwriting AND having to and data entry. Contact us for details. We are happy to set up your online registration for no additional charge. We use GetMeRegistered.com. The fees they pass on to the runners are more reasonable, they don't fill up the registration process trying to sell your participants magazines, and their site is more user friendly, both for the participant and the race director. And most importantly, they do not sell your participants contact information to other businesses and races. We offer a variety of other services to accommodate your needs. We are runners and Race Directors, so we know the challenges you are facing. Based in the Denver, Colorado area, we are happy to travel to time your race. Learn more of what we can do for you. We are also involved with the community having been members of 1% For the Planet since 2006. One percent of our total revenue is donated to non-profit environmental organizations. I’m so thankful I chose your company for this first Edgewater 5k. You have been so helpful! 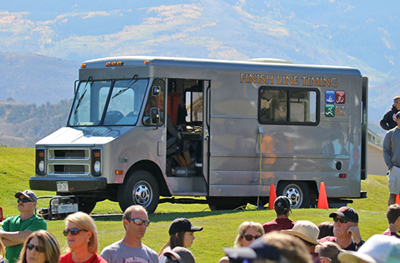 We used Finish Line Timing at our 5k event this year and really appreciated everything Paul, the owner, provided, as well as his expertise. He is interested in your race succeeding and he has lots of helpful information for the novice race director as well as a more experienced director. He provides immediate results to the runners, which was greatly appreciated. The timing process went off without a hitch, as he is very prepared. Paul was very helpful and quick to respond to our questions. We will definitely be using Finish Line Timing for next year’s race!